Coming home to an empty house is not easy. There is no one to greet you, and the chair opposite yours at the dinner table is empty. The house seems to echo from the silence and you shed a tear as you remember that you are now alone. So many years together, so many memories you two created together are all you have left. Losing a loved one changes your entire life, especially when the loved one was also your best friend. You feel completely lost and totally uncomfortable making even minor decisions. The bed feels big and you hug the pillows for comfort. But something inside you tells you that you can survive! 2 Know that it will take time before you can begin to feel a sense of normal again. It will not just disappear, and it will not heal itself. 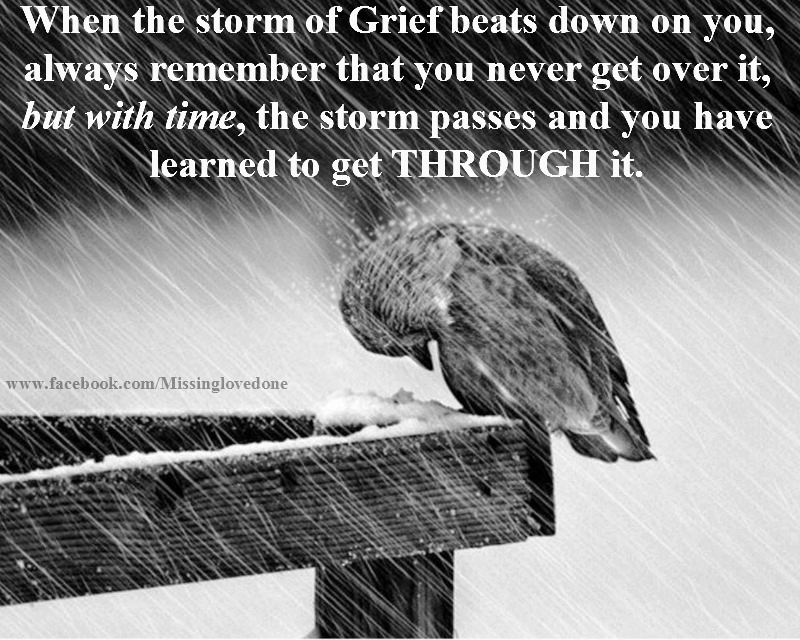 Be patient with yourself as you work through the process of grief. Grief is a journey that lasts as long as it takes to reconcile all issues pertaining to death, your loved one, yourself, your relationship(good/bad) to bring peace and understanding. 3 Understand that there are stages you will go through and they are not linear. You will experience denial, anger, resentment, yearning, suffering, sadness, and eventually an acceptance. However, you may not do them in this order and you may, much like a roller coaster ride, go over these stages repeatedly over the course of your grief journey with regard to the same loss. 4 Do not pay attention to those who try to tell you that you are not grieving properly. Instead, thank s/he for their concern allow them to know everyone grieves differently. Grief is as individual as you are, as your partner was, and as your relationship was. Specifically, you will likely deal with some who thinks you are healing “too fast” and those who think you have become “stuck in your grief”. If you have concerns about either, talk to a grief counselor or therapist, s/he has training and experience to help you navigate through your grief as well as help you build self esteem. 5 Realize that you have choices. There is a time when you need to cry and go through the suffering to get to the other side. There will come a time when you are ready to actively participate in grief work to bring healing to have a new life. 6 Do not worry that you will forget your spouse. 7 Ask yourself what it was that you have always wanted to do but something you never had time to do because of family obligations. Now is the time to do it’! Be anything you want to be. Become an artist, a pilot, or a scuba diver. Take a ride in a hot air balloon. Most of all, strive to be happy and fulfilled. Your dreams can become a reality and help fill the void in your life. You will meet new people and realize that life can be satisfying and exciting even if you are alone. 8 Be patient because this change may not come quickly or easily. 9 Adopt a pet. If you don’t have the energy to give a great amount of attention to a pet, consider a cat. They make great companions. They are clean and do not have to be walked. They give you love and affection. They give you someone to care for and care about. They will greet you when you come home, and lie on your lap while you watch TV. If you are not a cat person get a dog, or whatever pet makes you happiest. Understand that the pet will not replace your love, nor is it meant to, but animals can make you smile, listen to you when you feel like talking to fill a lonely day. 10 Volunteer When you are ready or have energy, volunteer your time to a cause or something that you feel strongly about. Helping others can have a wonderful effect on ourselves. Join the library and read. Most libraries have library buses that bring books to your neighborhood. Or you can rent a DVD, or watch movies on the TV. Write letters, or become a phone companion, a group that is backed by the Police Community Service. They make daily calls to shut-ins, to make sure that they are safe. Talk to them to keep them company and they will be keeping you company as well. This is a beautiful tribute to your strength and wisdom and your ability to help others.